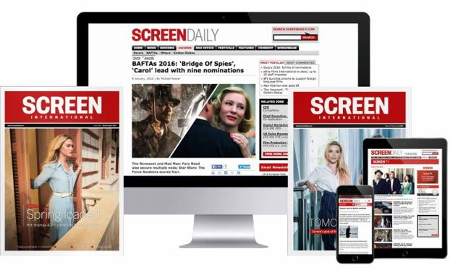 However, screenwriters on both sides of the Atlantic are increasingly bullish about their demands for recognition. A new ‘good practice’ guide for screenwriters will be launched at the International Screenwriters’ Festival in the UK this month which will call for writers to become more involved in the business of film-making. “It’s about getting writers to take an active, responsible interest in what they are doing,” says Olivia Hetreed, the UK screenwriter of Girl With A Pearl Earring, and chair of the film committee at the Writers’ Guild of Great Britain. At the Berlin International Film Festival in early 2007, the Federation of Screenwriters in Europe (FSE) issued the European Screenwriters’ Manifesto which had the support of 9,000 writers and 21 national writers’ guilds. The European screenwriters wanted acknowledgement as “primary creators”. They demanded “fair payment” for every form of exploitation of their work. They asserted that “the indiscriminate use” of the “possessory” credit ” a film by…” was unacceptable. Two years on and not all of its goals have been realised. Given the economic crisis, the strains in the independent film sector and the challenges of the digital era, this is hardly surprising. Others agree that the manifesto was never likely to be embraced immediately by the rest of the industry. “The European manifesto seems to me to be a moral argument and a creative ­argument rather than a financial one,” says producer Kevin Loader of the UK’s Free Range Films, whose recent credits include In The Loop and Nowhere Boy. He is also chairman of the International Screenwriters’ Festival. Some victories have already been won, albeit relatively modest ones. For example, the European Film Academy has agreed that it will refer to films nominated for EFAs by the names of the producer, the director ― and the writer. Producers broadly agree the possessory credit is an anachronism. “But part of the problem is the agenting system for directors. Once they’ve got this possessory credit, they dare not not deploy it. It becomes a deal point ― something you have to earn the right to use,” says Loader. Predictably, independent producers dispute the idea they are exploiting screenwriters. They point out that allowing writers to retain ‘moral rights’ over their screenplays is often not practical ― financiers will not accept it. “I wouldn’t get the money to make my film if I wasn’t prepared to persuade my writers to sign their moral rights away,” says Loader. In the UK, screenwriters might expect to receive 2%-3% of a film’s budget as a fee. In return, they are often obliged to accept a ‘buyout’ clause in their contract. However, with budgets of less than $1m now common, the old fee system is coming under increasing pressure. Many writers accept that new approaches to production are necessary. “With development money scarce, there are a lot more partnerships between producers and writers where it may be understood that there is very little money up front for the writer,” says Loader. The idea is that the writer will get “a better position later” in return for the gamble of writing for little or no money in the early stages. These are tough times for everyone, but as events like the International Screenwriters’ Festival and November’s World Conference of Screenwriters in Athensunderline, writers in the UK and internationally are at last starting to forge a collective identity. Screen brings you a selection of this year’s potential adapted screenplay awards contenders.